Traditionally, the brothers worked in the area of education: care for schools and boarding schools was one of the core activities of the congregation. There are still many schools in care of the brothers in different countries. Traditionally, the brothers worked mainly in the area of education. The founder of the congregation, Bishop Joannes Zwijsen, was deeply touched by the poverty, illiteracy and spiritual negligence of the youth. Many children barely received education. He realized how all these elements were connected to each other and he started with a Christian response to it. In the first ten years, the brothers started to take care of orphans in poor neighbourhoods. They also started a boarding school, a Catholic trade school, a seminary, a teacher training college, an institute for blind and deaf children, and a few Sunday schools. Education is still an important field of work for the brothers. In all schools, the brothers are now working together with a team of lay teachers: the presence of the brothers often is essential for the structure, identity and continuity of the school. 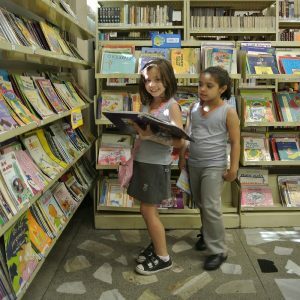 In addition to teaching, other activities take place at the schools. The communities organize catechism classes, provide seminars, and support activities in the area of sports and music. Thus, the schools are a center of social, cultural and also religious education. In some places, the brothers also have boarding schools. For many pupils – especially those living in remote places – this means that they have access to good education, which is not always available in their immediate surroundings. In Indonesia the brothers have 13 schools in their care, spread out over different places. 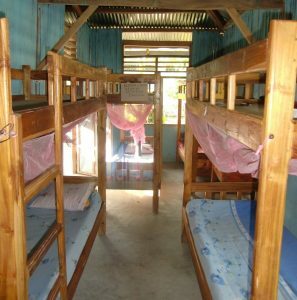 Some schools are in combination with a boarding facility for the children who are not able to go home every day. All the schools fall under the umbrella foundation (Yayasan) Don Bosco Manado (YDBM), founded by the Brothers CMM in the 1950s. 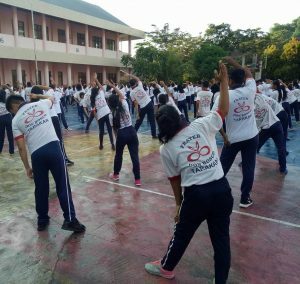 The foundation currently comprises three nursery schools (Taman Kanak-Kanak), three primary schools (Sekolah Dasar), three junior high schools (Sekolah Menengah Pertama), and four senior high schools (Sekolah Menengah Atas). In addition, it also manages four hostels. The schools of the brothers have a good reputation in Indonesia. The quality is primarily reflected in the holistic approach of education, with attention to religious education, spirituality, and an excellent offer of study materials. The school fees are income related. As a result, children from low-income families can also attend these schools. Not all students are Catholic: students of other denominations are welcome, and because of the good reputation of the schools, children with an Islamic or non-religious background attend the schools of YDBM. Primary schools in Kenya are free. But there are costs for uniforms, travel expenses, and book fees. Only one third of primary school students in Kenya continue to secondary education. Unlike primary schools, secondary school schools are not free, and many families cannot pay the costs. 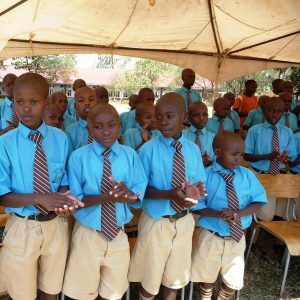 Some time ago the brothers in Kenya started with CP’s (coaching programs), these are non-formal secondary schools for poor children, which have gradually developed into officially recognized schools. In recent years, the province has attempted to make these schools financially less dependent on money from outside. That is partly done. However, it also meant that school fees had to be charged and this had consequences for the number of students. There are, however, some scholarships available for poor students so that they can pay the school fees. For example, in Kayole, one of the slums of Nairobi, St. Justino High School is situated in a place called Soweto, which is known as the “heaven of all evil”. Life there is hard, with a lot of drug addiction, prostitution and street robberies. Education is a challenge in this area. But against all expectations, St. Justino High School has grown into a school with a good reputation because of the high quality of education. In 1970, the Brothers CMM started a specialized training institute for blind people in Sikri, the ‘Sikri Technical Training Institute’. This form of education was still very scarce in Kenya. An agricultural vocational training program was offered for visually impaired people, and since 1976, also for deaf people, which enables them to provide for themselves. For this purpose, the brothers also started a large farm next to the school. 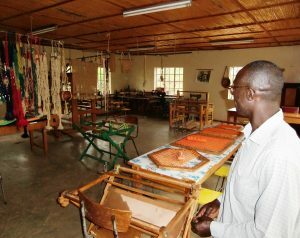 In 1988 the educational facilities were expanded with training programmes in woodworking and weaving. The training institute has now been transferred to the government, but there is still a brother working there as a volunteer. Education for the disabled is still not seen as very important in Kenya. 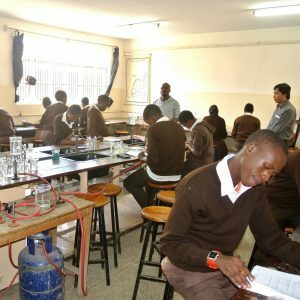 It is essential to create more awareness, not only to recruit new students, but also for the wider acceptance of the disabled in Kenyan society. 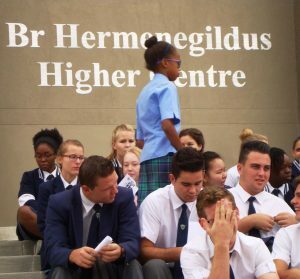 The brothers in Namibia have made an important contribution to the education in the country. In 1962 the brothers started a school in Windhoek: St. Paul’s College. From 1991 the leadership of the school has been transferred to laypeople. The brothers still feel involved in this school. In 1995, the brothers in northern Namibia, in Sambyu, started with a secondary school, St. Boniface. In later years the leadership of the school has been handed over to laypeople. Initially, some brothers continued to work as a teacher at this school. However, the involvement of the brothers ended by the end of 2013 and the community in Sambyu was closed. Still, former schools in Windhoek and Sambyu-Rundu are very well known. At present, the brothers do not have their own schools in Namibia. The young Namibian brothers are nearly all still in training. In 2014, a new community was started in Tses. The brothers in Tses will work in the diocesan school as teachers or in other functions. The school in Belo Horizonte (Brazil), Colégio Padre Eustáquio, was founded in 1962 by the brothers. Initially as high school and later the education was extended, from nursery to secondary education. The daily administration of Colégio Padre Eustáquio has been now the responsibility of laypeople for several decades. They are still connected with the congregation. The regional board of the brothers in Brazil still forms the board of the school. In addition to regular education, the school also offers after school day care and language courses for illiterate students. After the brothers had to pull out of Gleno because of the independence struggle and the civil war in Timor Leste, the congregation started a new community in Gleno after the war, in 2008. The brothers then took charge of a secondary vocational education program, which focused mainly on the catering industry. After years of housing in a primary school building, they entered a new building in 2014. This building was completed with the support of the government of Timor Leste. The congregation bought the land and thereby acquired the ownership of the property of the secondary vocational school. In 2011, a request was made from the Jesuits to take over a boarding facility in Suai. This was realized in 2012. The boys who live in the boarding facility go to nearby schools. The boarding facility offers the opportunity for the students to attend good education at a school which is not near their home. After school, the students get help with their homework and they can participate in music lessons and sports activities. 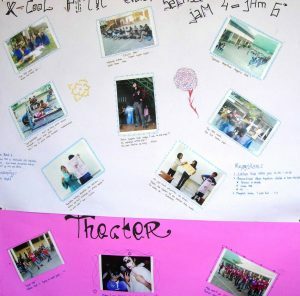 In Timor Leste, the brothers also work in Dili, in the suburb called Becora, at the parish school ‘Hati Kudus’, which has a junior high school (SMP) and a senior high school (SMA). The great wish of the brothers in the region is to start their own high school in Hera. The discussions about this are still going on. Realization of such a project, however, requires major financial efforts.